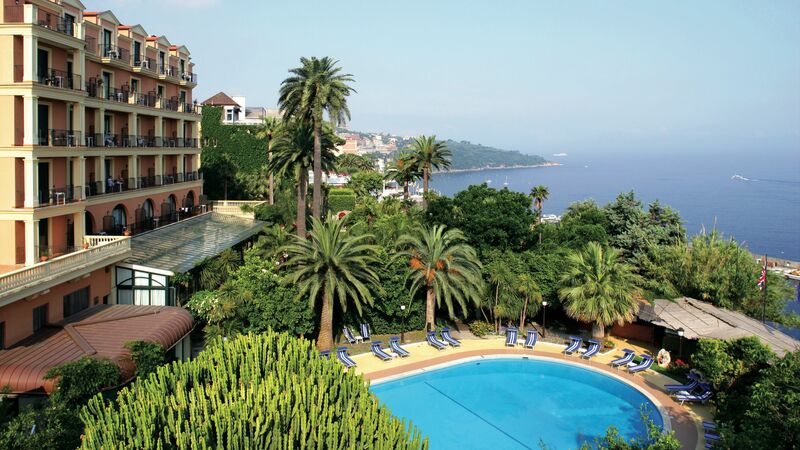 Neapolitan Riviera takes you to the south west coast of Italy, where you’ll find glamorous resorts with plenty of history. Discover the romance of pretty former fishing villages with colourful buildings built into the sides of the cliff and overlooking the sparkling Mediterranean below. Couples will love the serene atmosphere, little churches, stunning natural scenery, and delicious fresh produce, while families can spend days on the beaches or making the most of the mountains and valleys inland. The most famous of the Neapolitan Riviera’s idyllic towns is Amalfi, with its luscious gardens, vibrant fishing port, and winding alleyways. For golden buildings basking in the sun, yachts, sailing boats, and colourful fruit groves, head to Sorrento. For a taste of the natural surroundings, Ischia boasts natural spas, 28kms of beaches, and spectacular mountains views, ideal for a relaxing holiday. 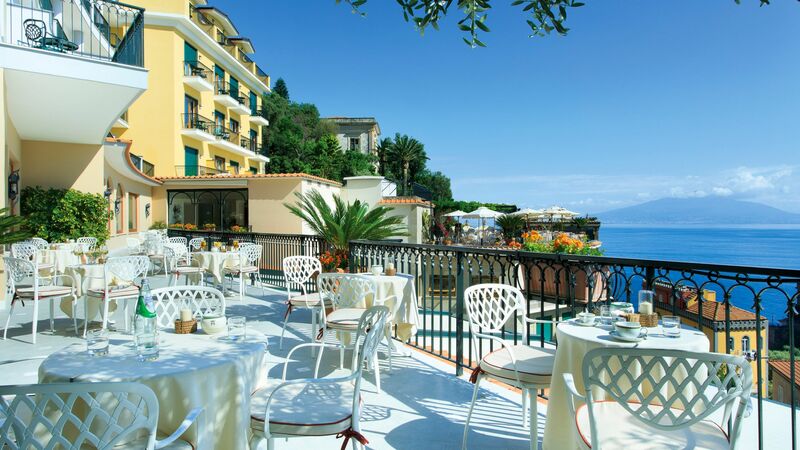 Or stay in Ravello and admire the historic buildings, spectacular views, and some of the area’s most famous gardens. Holidays in Neapolitan Riviera are becoming increasingly popular, and it’s easy to see why. You’ll find iconic towns, each with their own charm, nestled on the side of the dramatic cliffs and overlooking the sparkling ocean below. Wind your way through alleyways, stopping off for traditional Italian cuisine and Michelin starred dining. When it comes to spas, Ischia has natural warm springs which are said to have healing properties, while many of the luxury hotels along the coast have their own offering as well. And if you want to simply relax, head to the golden sands of the beaches. 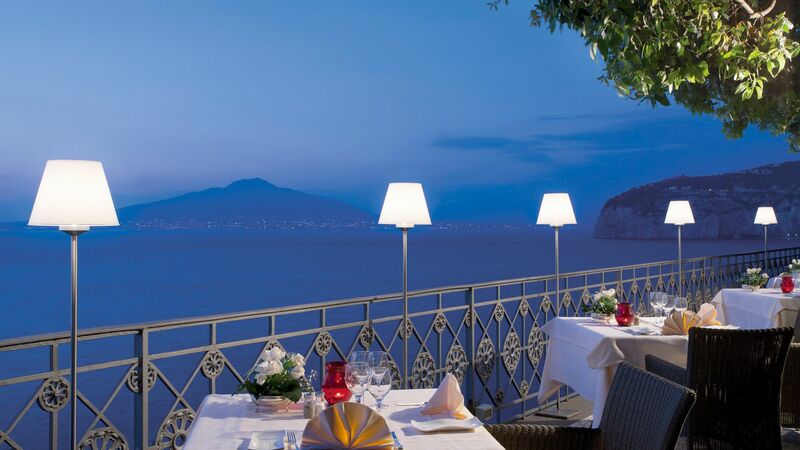 Book with Sovereign and we’ll help you find the ideal hotel for your romantic holiday in Neapolitan Riviera. Stay at the Hotel Santa Caterina for elegant interiors, an infinity pool overlooking the ocean below and a serene setting. 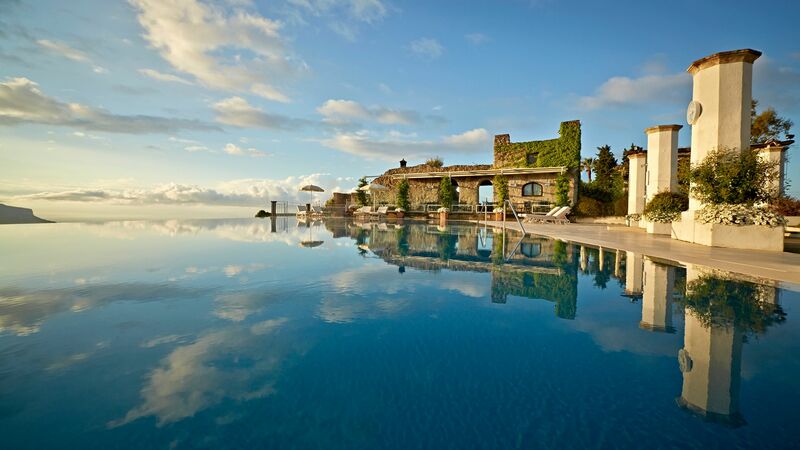 Mezzatorre Resort and Spa offers easy access to a pretty cove with crystal clear waters and an extensive spa, while Belmond Hotel Caruso is home to historic architecture which blends with luxurious modern amenities. Amalfi balances at the bottom of the soaring Amalfi Coast cliffs, handing out maritime history, multi-coloured houses and ocean views. Ischia is a little island with a volcanic heart. Its castle-topped ports and ivory villages are built around a volcanic peak that feeds its spa towns and beaches. The lofty gardens in Ravello are among the area's must-sees. Its location doesn’t harm, either – Ravello is perfectly poised above some of the most sought-after towns on the Amalfi Coast. 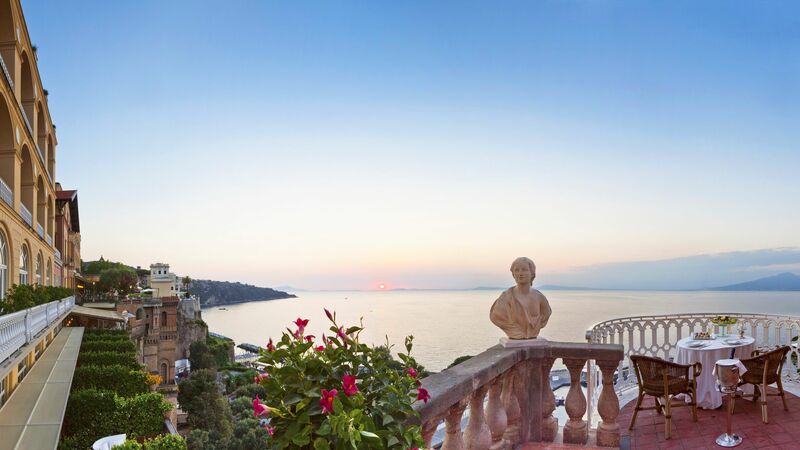 The elegant hotels, lemon-tree lanes and clifftop cafés of Sorrento skip down the Sorrentine Peninsula, serving up spectacular sea vistas along the way. Head to Positano for the beach – at 300 metres long, it’s one of the biggest on the Amalfi Coast. Running alongside it is the town’s promenade, home to restaurants and cafes all sporting fantastic sea views. The little piazza just above it is a good place to get your bearings. To one side you’ll find the Church of Santa Maria Assunta, and leading off it is the town’s main shopping street, where small boutiques sell handmade sandals, local artworks and bottles of limoncello. 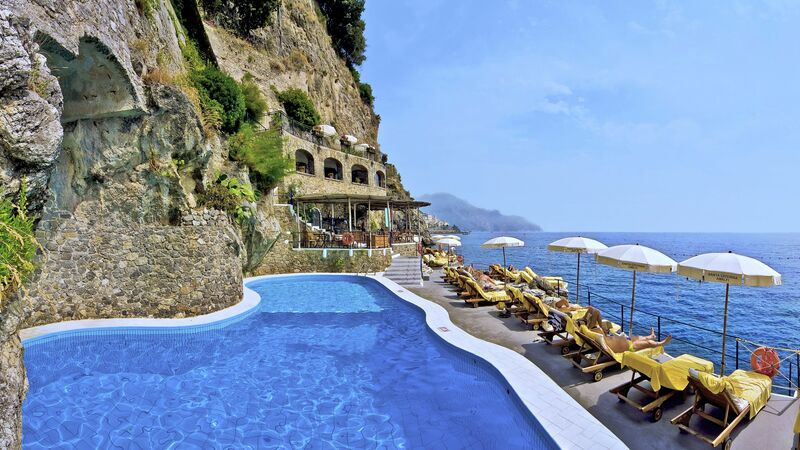 The islands of Capri and Ischia make perfect day trips. On Capri, you can browse designer boutiques, tuck in to lunch at stylish beach club restaurants and take a boat to the Blue Grotto sea cave, while Ischia's main draw is its natural spas, where you can soak in hot springs and slather yourself in mineral-rich mud. Amalfi’s grand cathedral forms the centre-point of the town and is the place most people make a beeline for when they arrive. It sits at the top of a grand staircase, with a striking black and white marble façade and impressive bronze entrance doors that date back to 1061. Inside, you can expect Moorish-style arches, marble columns and stunning mosaics. Flights from the UK to Naples (the closest airport for the Neapolitan Riviera) take approximately 2 hours 45 minutes. Summer months on the Neapolitan Riviera can see temperatures rising into the 30s - perfect for enjoying the beaches and bathing platforms. Spring and autumn are still short-sleeve weather, and ideal for those looking to do more sightseeing (Pompeii has virtually no shade, so can get very warm in the height of summer).